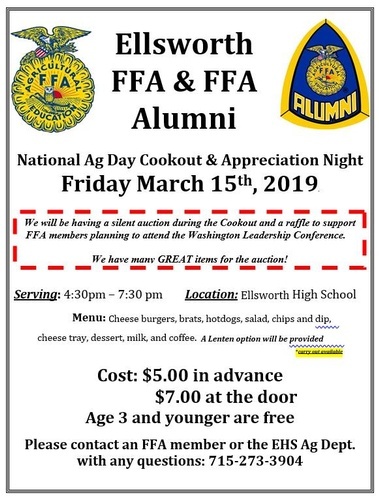 Come and join the Ellsworth FFA for a great meal and a night celebrating Agriculture and the impact is has on our lives. A silent auction and raffle will also be taking place. Proceeds to support students attending the Washington Leadership Conference.